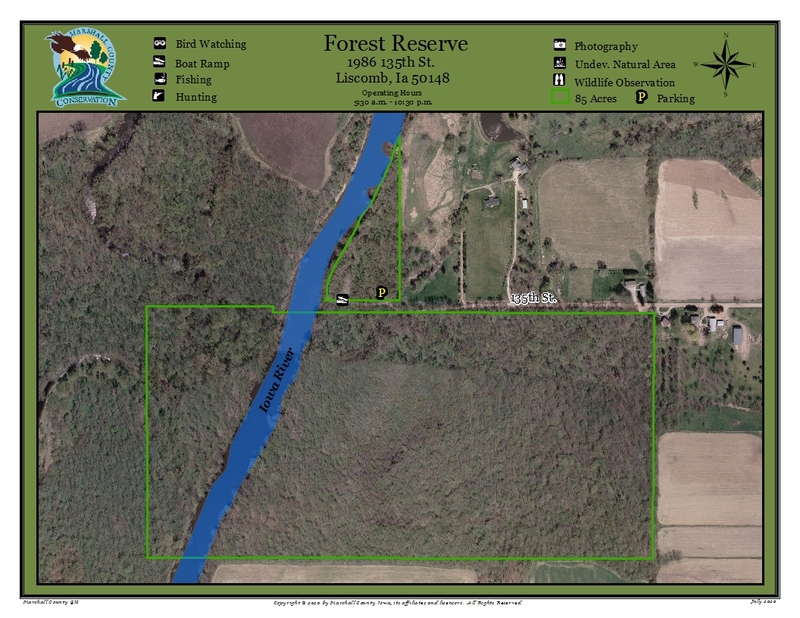 The 85-acre Forest Reserve was purchased by the Marshall County Conservation Board in October 1969 to preserve and manage an important segment of woodland habitat in the Iowa River Valley. 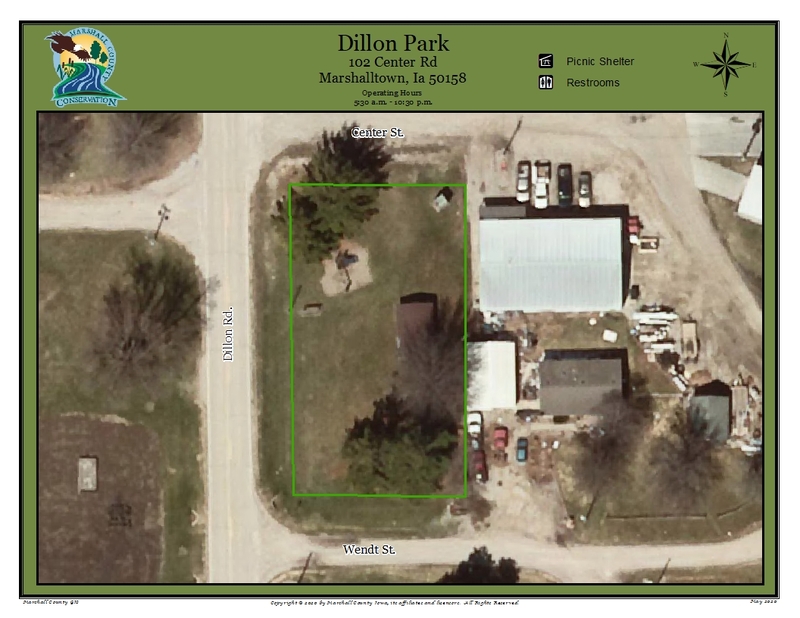 An additional five acres were purchased in August 1973 to provide access to the Iowa River for fishing, boating, and canoeing. Primitive camping is allowed in this portion. The Forest Reserve is managed as a wildlife management area. It is home to deer, turkeys, and many species of birds. Area hours: 5:30 a.m. - 10:30 p.m.
Area open year round. Access limited in winter months.